MOSCOW, December 27. /TASS/. The protection of national interests in the Middle East was one of reasons why Russia had chosen to keep its two military bases in Syria - the Hmeymim airbase and the naval base in the port of Tartus, the chief of the Russian General Staff, Army Gen. Valery Gerasimov, said on Wednesday. According to the general, supporting the Syrian troops was one of reasons why Russia decided to keep those bases. "During those two years, Syrian army officers and non-commissioned officers have received great experience. Now they can successfully conduct warfare and defend their territory. Our forces deployed on our bases can render support if necessary. 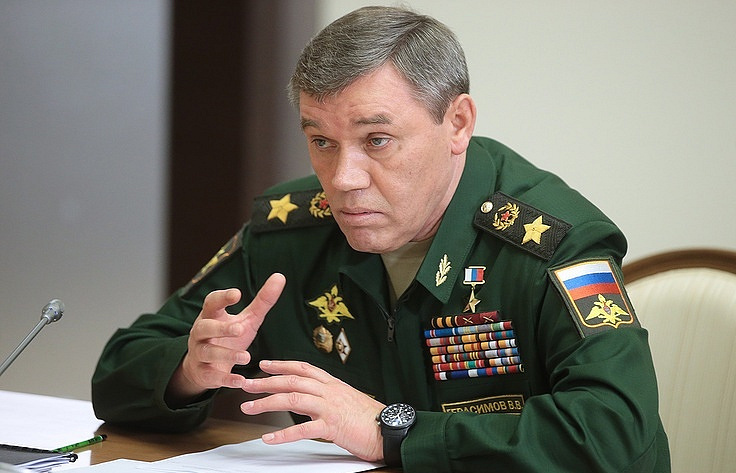 Those forces will be sufficient to maintain stability and territorial integrity of Syria," Gerasimov said in an interview with the Komsomolskaya Pravda daily. "On the other hand, we should not forget that Russia has own interests in the Middle East," he went on. "It will take some time to fully stabilize the situation, that’s why the presence of those bases is justified and necessary to prevent the scenario that took place until September 2015." Gerasimov added. Russian Defense Minister Sergey Shoigu said on Tuesday that the ministry has started forming a permanent grouping of forces at the Tartus naval facility and the Hmeymim airbase in Syria. After the Russian-Syrian agreement on Tartus is ratified, the naval facility will become a full-fledged naval base. According to the document, Russia will be allowed to keep in Tartus up to 11 warships, including nuclear-powered cruisers. On December 6, Russian President Vladimir Putin announced that the Islamic State had been fully defeated on both banks of the Euphrates River in Syria. Five days later, Putin ordered the pullout of Russian forces from Syria, which was declared complete on December 22. Along with the bases at Tartus and Hmeymim, Russian military presence in Syria was cut to three military police battalions and the Center for the Reconciliation of the Warring Sides.